The Family Deal: It’s Not Just What You Get, It’s How You Feel. At LaFontaine our mission is to build lifelong relationships that connect families, strengthen communities and personalize the automotive experience. Our mission reflects the manifestation of six core values: Accountability, Respect, Team Work, Passion, Communication, and Responsibility. The Combination of both the mission and core values provides the basic foundation of our promise to you… To treat every customer like they are members of our family. To respect their unique needs, to be accountable of our actions as it relates to your experience, to assemble the best individuals in the industry to be part of your team, communicate with transparency, be responsible to the communities you live in and we do business in and to approach each day with passion. Simply put… The Family Deal. It’s not just what you get, it’s how you feel. Is There a Kia with 3rd Row Seating? What Is the Kia Sorento Towing Capacity? Leasing vs. Financing: What Makes Sense for You? What is the Kia Soul Maintenance Schedule? What is the Kia Optima Maintenance Schedule? 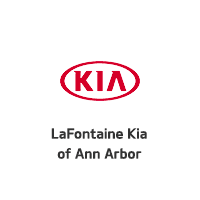 LaFontaine Kia of Ann Arbor	42.2832296, -83.8082671.